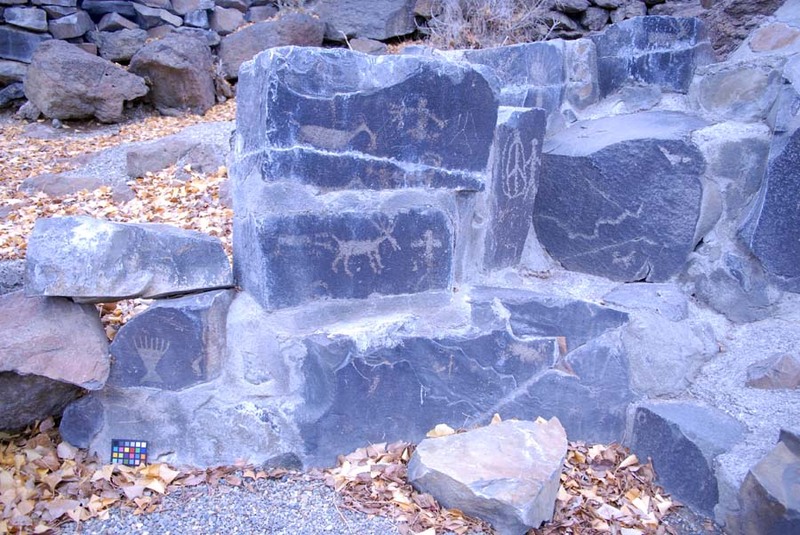 Over two dozen petroglyphs are part of an outdoor display at Ginkgo Petrified Forest State Park museum along the Columbia River in the State of Washington. 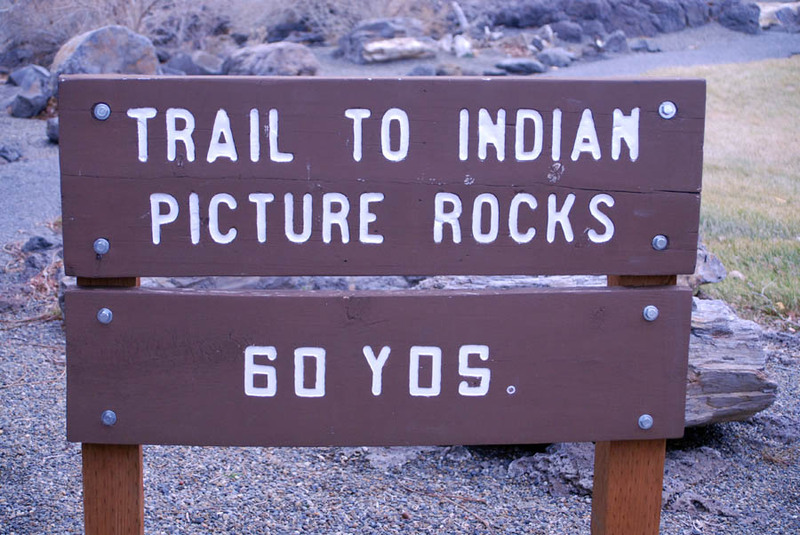 Keyser (1992: 118) reports that the petroglyphs were removed from three sites along the Columbia River before the construction of the Wanapum Dam. 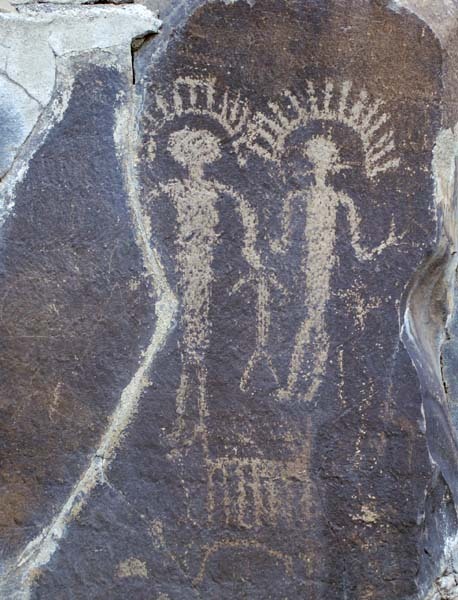 The most striking panel in the display shows two figures with rayed arcs above their heads; Keyser (1992: Figure 40, page 66) identified the two figures as twins. 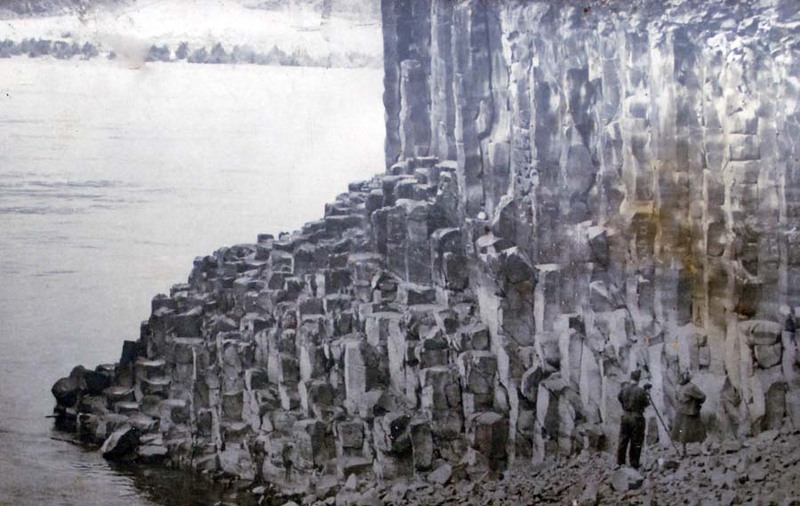 Note: I have used photoshop healing tool to remove modern graffiti from this digital image. 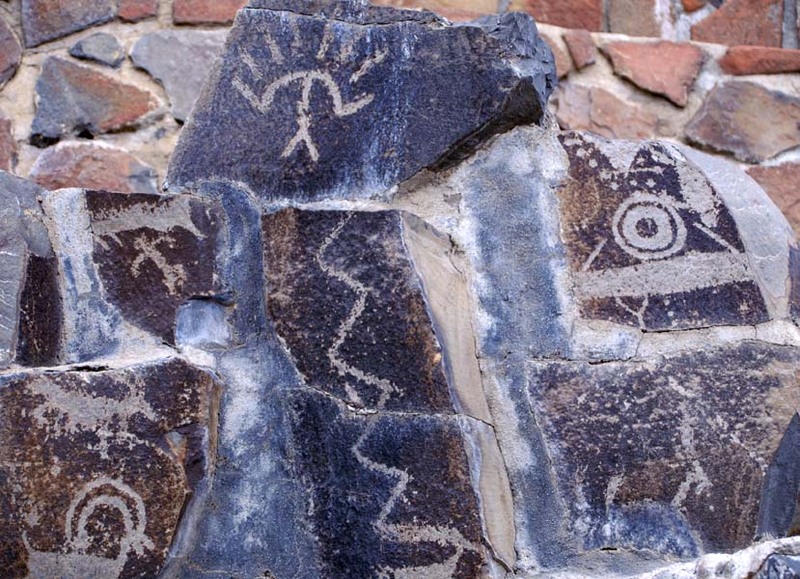 Several petroglyphs and a gretagmacbeth mini colorchecker that measures 8.2 x 5.6 cm (3.2 x 2.3 inches). 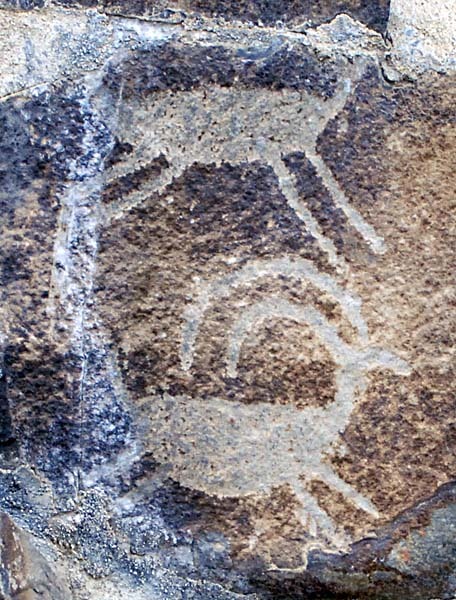 Sun design, animal design, and a human form. 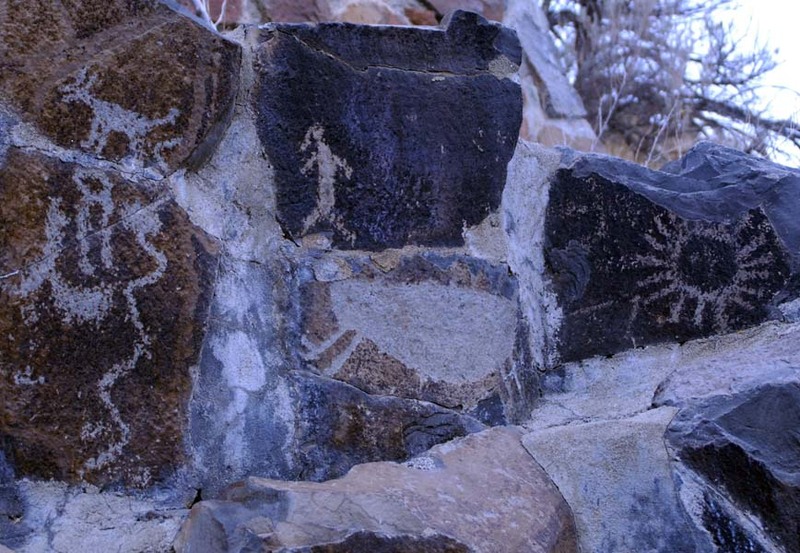 Additional images from the Vantage Site. 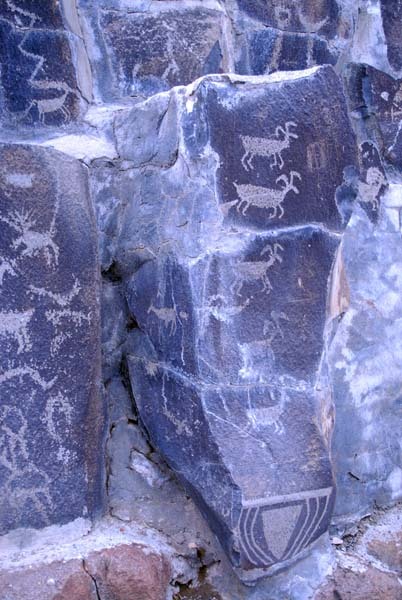 Numerous mountain sheep representations from the Vantage Site. 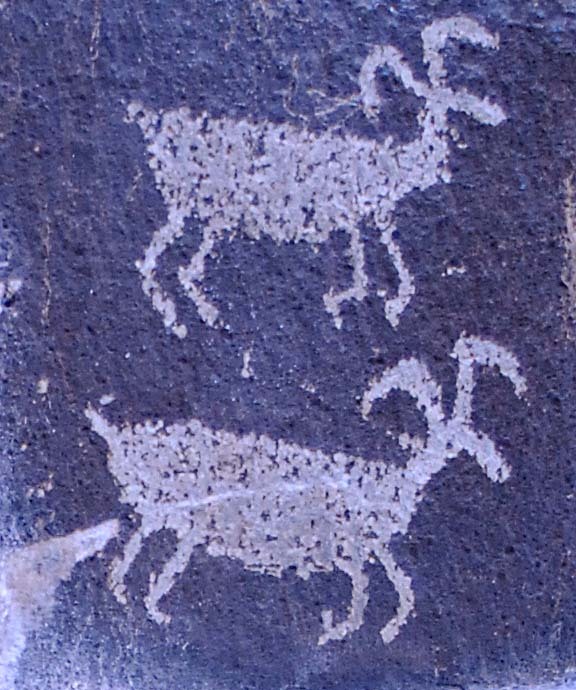 Two mountain sheep representations from the Vantage Site that were published by Keyser (1992: Figure 44). 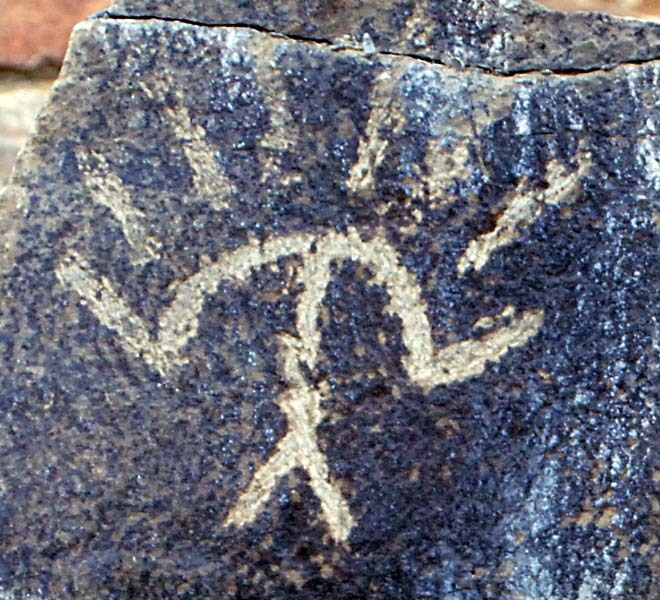 Rayed arc figure from the Vantage Site. 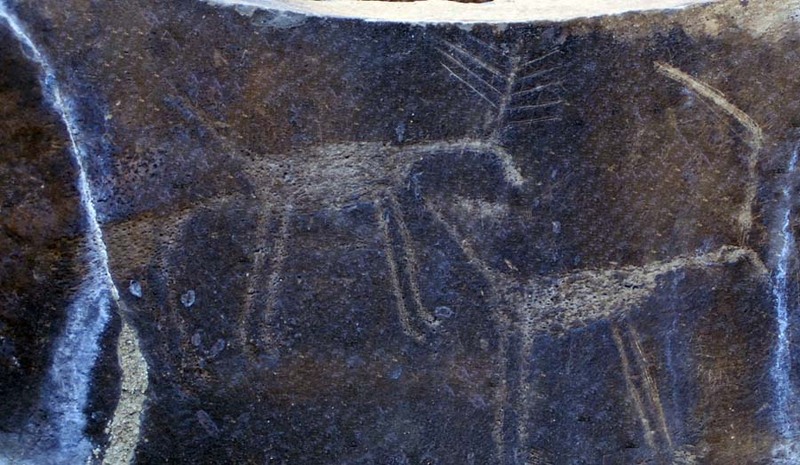 Closeup of two mountain sheep. 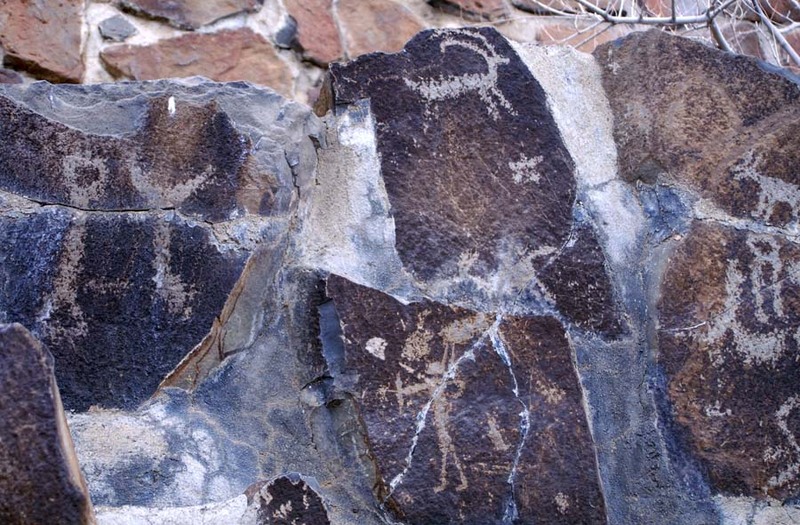 Scratched and abraded images of three deer (left deer is highly patinated) that was illustrated by Keyser (1992: Figure 44). Images of three deer with vandalism removed by the photoshop healing tool. Rayed arc design with a face-like design. Keyser (1992: Figure 44). 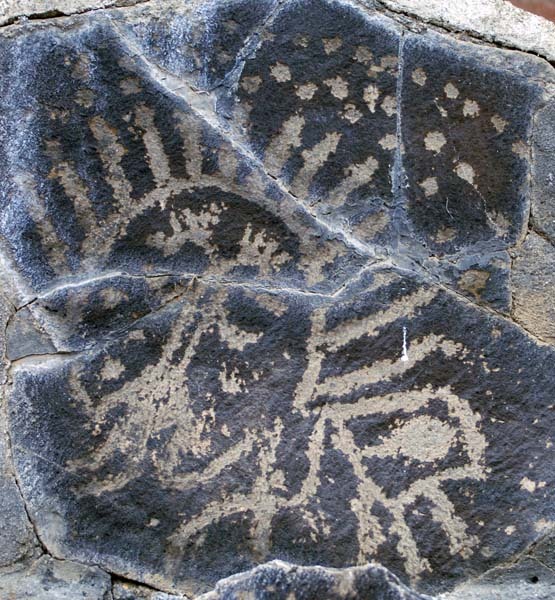 Drawing of images at the Vantage Site. 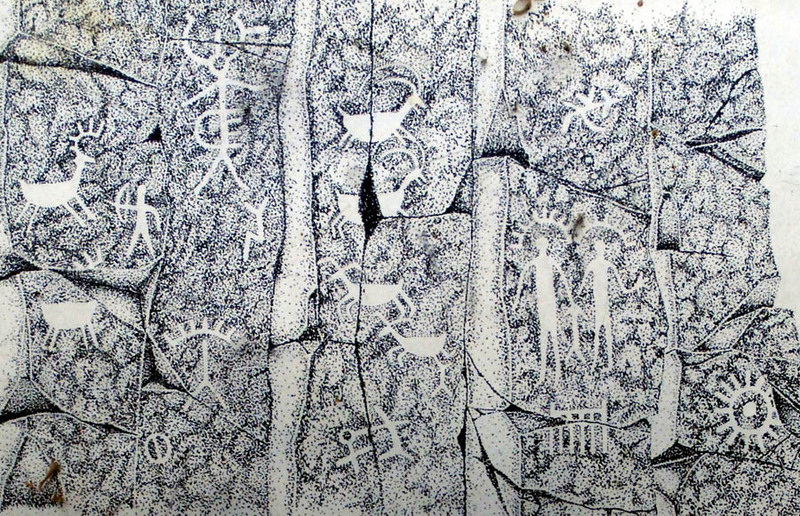 Copy of a lithograph showing the Vantage rock art site before it was flooded. 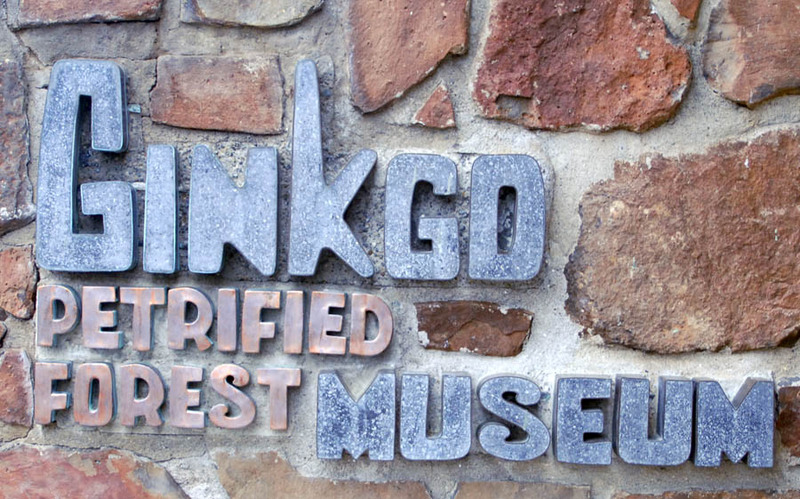 Special thanks to Betty Banks, program coordinator for the Spokane Society of the Archaeology Institute of America. She hosted my lecture in Spokane and subsequent day of fieldwork. 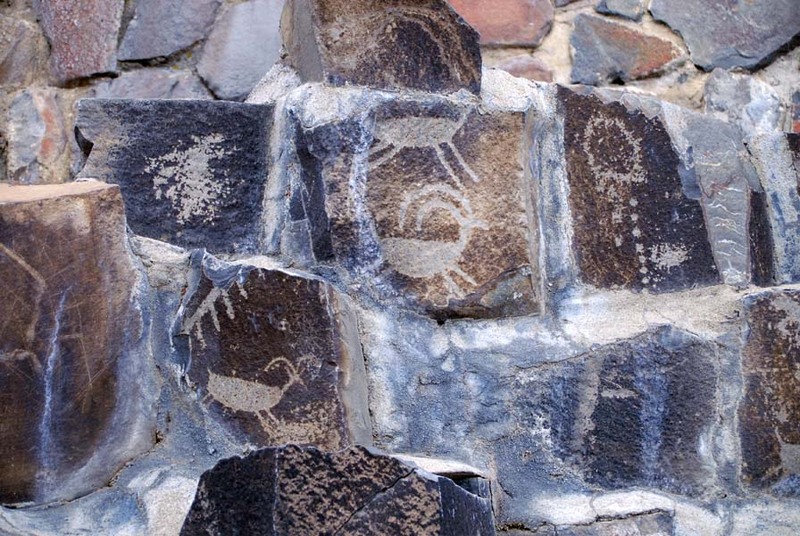 1992 Indian Rock Art of the Columbia Plateau. University of Washington Press, Seattle.